Gifts of Distinction – Bringing the Jewellery Quarter to your door. Gifts of Distinction do exactly what it says on the tin, design, make and supply personalised sterling silver gifts and corporate awards, including this year’s prestigious Birmingham Post Business Awards, to both local and international customers. Says owner David Louis Hendley “We hand make, engrave and ship beautiful sterling silver gifts to local people via our web site www.gifts-of-distinction.co.uk”. David is fond of saying “We bring the Jewellery Quarter to your door”. Every gent’s gift item, from quirky chip forks made in sterling silver to silver Marmite lids and back to sterling silver pens and cufflinks plus the corporate awards on Gifts of Distinctions web site are hand made in the jewellery quarter by locally based silversmiths. 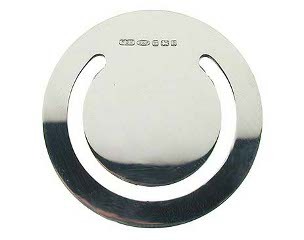 They are all available online; each item can be engraved for a nominal charge too. “We specialise in hand making, engraving and delivering prestigious sterling silver gifts and awards to our customers, online and on time” says David proudly. 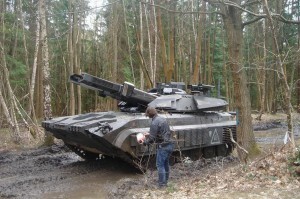 about great product design, about our customers and about new design entrepreneurs. All in all watch this space for Brand Explosion, excellent customer service and all round we give a damn attitude. We are working creatively, informatively plus, with the customer first and foremost in our mind we are having great results. What a great time we have been having here at Gifts of Distinction and David-Louis. We have been managing to create growth in our business by raising our game. As our testimonials on the web sites show we have focused on exemplary customer service along side improving dispatch times on all the gift items we sell online. Mentoring new Designers on TV. Of late David has been dispensing sound advice to new designers at the School of Jewellery for the students on the Design for Industry course as well as giving a few talks on marketing and writing the perfect press release for new creative entrepreneurs at Design Space. This work was recognised recently and David-Louis has recently featured on ITV news as a mentor, over the coming months ITV will be revisiting David and talking with some of his mentees so keep an eye on our blog for links to the interviews. Under the flaskstore and tankardstore banner we recently visited the Spring Fair 2011 and picked up many new suppliers and pressed the flesh with existing customers and suppliers, I was delighted when Alice made time to visit the existing suppliers I couldn’t find, I personally did four halls in four hours, met 20 people and swapped details with 10 new people. So quick and to the point visit this year, we are really lucky the NEC is beside us here in Birmingham. Talking about trade fairs David-Louis.com is exhibiting at Pulse in June 2011 so we will be developing our brand, raising our profile and introducing new products over the next four months in preparation for the event. David-Louis also hope to work with Simon Pattison the new designer on the scene here in Birmingham and will be commissioning him to produce CAD drawings and turn our concepts into reality, we can see Simon is going somewhere in the design word but before he fly’s the coop and becomes a household name we will be supporting him here in Birmingham. Finally David-Louis will be engaging a PR Company to focus on driving sales of the David-Louis Beer Cube, we are currently negotiating with Zombie Kitty and are excited about their ideas. All in all watch this space for Brand Explosion, excellent customer service and all round we give a damn attitude. 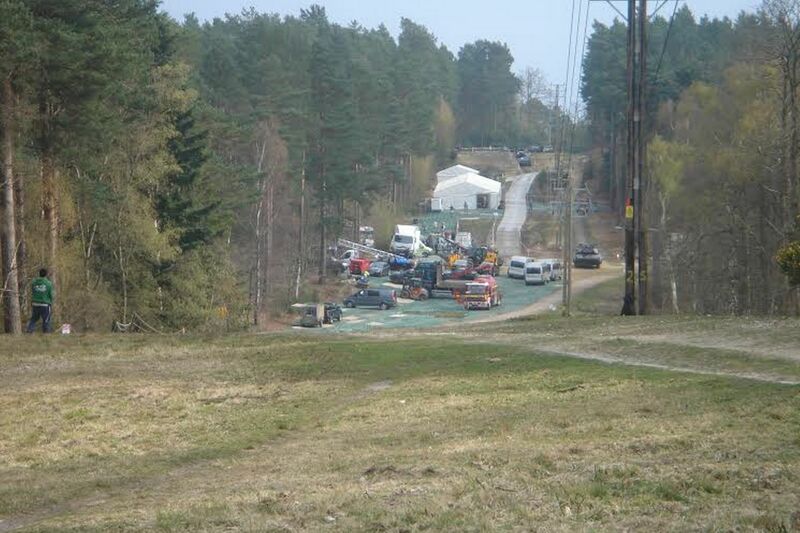 We are working creatively, informatively and with the customer first and foremost in our mind with great results. 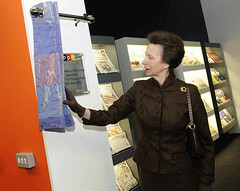 Gifts of Distinction Royal Wall Plaque unveiling. Gifts of Distinction are delighted to have been involved in the opening of BPM Media new office in Fort Dunlop, Birmingham last month. Product Launch – indulgent Fish & Chips! 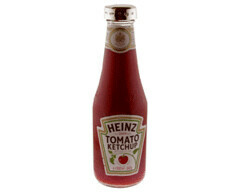 A 300ml bottle of Heinz Tomato Ketchup, transformed into a piece of luxury tableware with a solid Sterling Silver Lid. The Sterling Silver Ketchup Lid is handmade to perfection and is an ideal quirky gift. For a perfect present, why not have the Sterling Silver Ketchup Lid personalised with up to three initials. Who knew fish and chips could be so indulgent? Of course you get the ketchup too. David-Louis Mothers Day on the way. Well we are getting ready for mothers day here at Gifts-of-Distinction/ David-Louis. Don’t forget mothers day is on March 22nd in 2009 and this Ladies Sterling Silver Business Card Holder is totally ideal for a sophisticated mother on Mothers Day. Each one is hand made to order so get in touch as soon as you can. 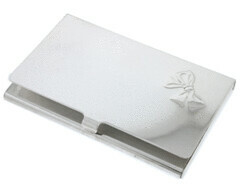 This elegant business card holder comes with a beautifully formed bow detail for that feminine touch. This pretty little piece will fit neatly into any woman’s handbag,and is also ideal for credit cards. Each business card case is handmade to order in Birmingham’s prestigious Jewellery Quarter. The Sterling Silver card cases all bear the Birmingham Assay Office hallmark, and are each packaged in a presentation box with lift off lid. Available from our online gifts site for £69.95 plus VAT. David-Louis – Distinctive foodie themes. Yes, so here we are on a Friday afternoon, working hard on our new range of silver objet for Gifts of Distinction, last week our Silver Chip Fork went down very well and this week we keeping up with our ‘foodie’ theme. Our Gifts of Distinction policy is all about luxury and indulgence. Treating yourself or a loved one to a gift that is and will be cherished. This exquisite solid Sterling Silver Mussel Eater is handmade to order in Birmingham’s prestigious Jewellery Quarter. 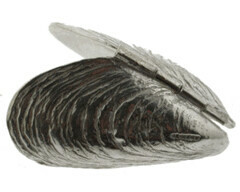 Each Sterling Silver mollusc bears the Birmingham Assay Office Hallmark. Two pieces of oxidised or blackened Sterling Silver are held together with a delicate sprung hinge, so you can pick up your Moules Mariniere with the perfect pair of pincers. Each Sterling Silver Mussel Eater is packaged in it’s own lift off lid presentation box, making it an ideal present for those with a passion for fine dining. We do hope you like it. Please feel free to comment on our blog or products at any time. Available for £64.95 plus vat at Gifts of Distinction mussel eater section.